CRASH! and BANG! Your way around the track as you get even. 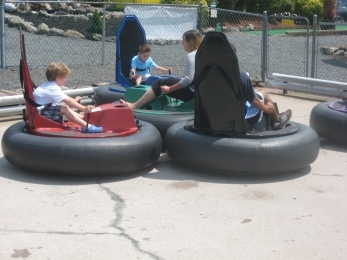 940 Golf & Fun's gas-powered bumper cars are a big hit with the whole family. 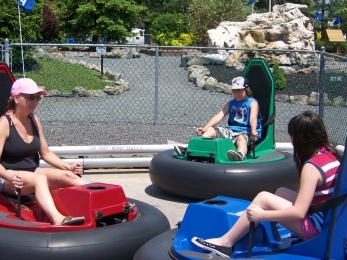 Take a seat in one of the five giant inner tubes with molded seats and bump into and bounce off of the other riders. One rider per car. Minimum height of 40 inches is required and maximum weight of 275 pounds. 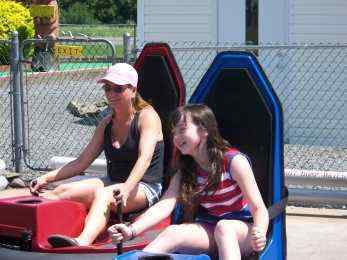 Open weekends until memorial day and after labor day. Open 7days between memorial day and labor. 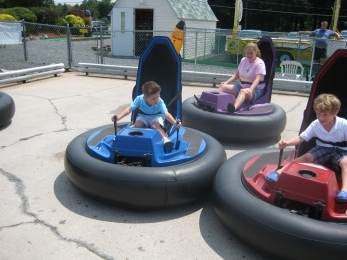 Our bumper cars move fast and spin around with simple controls that allow you to bump each other with ease! Spin in a circle or back up so you can build up your speed. Our cars spin 360 degrees so there are no worries of being stuck in the corners.